The most popular Gear Packages and Lockers for your Nissan Truck ro SUV can be found here! 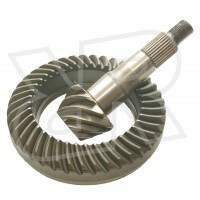 For individual Ring and pinion sets and differential components, please select your vehicle from the menu bar above. Fits years 2004,2005, 2006 3.73 Front Differential Gears 3.73 Rear Differential Gears Complete 3.73 Ring and Pinion Gear Kit with the M205 front differential and M226 Rear Differential. Comes with bo.. 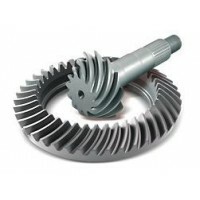 Fits years 2007, 2008, 2009, 2010, 2011, 2012, 2013, 2014, 2015, Complete 3.73 Ring and Pinion Gear Kit with the M205 front differential and M226 Rear Differential and Master Install Kits.WD-N205373 M.. Fits years 2005, 2006, 2007, 2008, 2009, 2010, 2011, 2012, 2013, 2014, 2015, 2016, 2017, 2018 4.10 R180A Front Nissan Frontier Differential Gears,4.10 M226 Rear Nissan Frontier Differentia.. 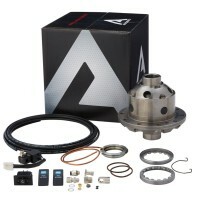 Fits years 2005, 2006, 2007, 2008, 2009, 2010, 2011, 2012, 2013, 2014, 2015, 2016, 2017 Comes with both required Master Install Kits and the required 29-Spline Yoke for Front M205 differential.RR-N2.. Fits years 2005, 2006, 2007, 2008, 2009, 2010, 2011, 2012, 2013, 2014, 2015 4.10 R180a Front Differential Gears4.10 M226 Rear Differential GearsRR-R180-411 R180a Front Thick 4.10 Ring and Pinion (Req.. Fits years 2004, 2005, 20064.56 Front Differential Gears for Front M2054.56 Rear Differential Gear for Rear M226Complete 4.56 Ring and Pinion Gear Kit with the M205 front differential and M226 Rear Di.. Fits years 2007, 2008, 2009, 2010, 2011, 2012, 2013, 2014, 2015 4.56 Front Differential Gears4.56 Rear Differential GearsComplete 4.56 Ring and Pinion Gear Kit with the M205 front differential and M.. Fits years 2005, 2006, 2007, 2008, 2009, 2010, 2011, 2012, 2013, 2014, 2015, 2016, 2017, 2018 The world's most highly regarded traction aid, an ARB Air Locker is a driver controlled lockin..